Discover lovely Litchfield Plantation with RE/MAX Southern Shores. The community of Litchfield Plantation in Pawleys Island, SC is highlighted by the extraordinary Avenue of Live Oaks, 300 year-old oak trees, offering residents and visitors one of the most scenic areas on the East Coast. Wide azalea and oak-lined streets are just a hint of the prestige and beauty to be found in the Litchfield Plantation community. A private, gated community, Litchfield Plantation features beautifully wooded home sites, including some with historic rice field views, single-family homes, villas and town homes. Amenities at Litchfield Plantation include a beach clubhouse, swimming pool, 60- slip marina, plus Carriage House Club membership, including its exceptional dining. Home sites at Litchfield Plantation range from $149,000-$995,000, villas range from $235,000-$589,000 and homes from $750,000-$1.2 million. Properties at Legacy Place in Litchfield Plantation, feature luxurious 3 and 4 bedroom single-family homes. With ten-foot ceilings, eight-inch solid doors, hardwood floors, each home has a two car attached garage and covered porches in front and back. Tucker’s Woods, a town home community, has homes beginning at $420,000. The town homes offer three distinct three bedroom, three and a half bathroom floor plans and range from 1,800 to 3,000 square feet. Features include hardwood floors, gourmet kitchens and a two car garages. 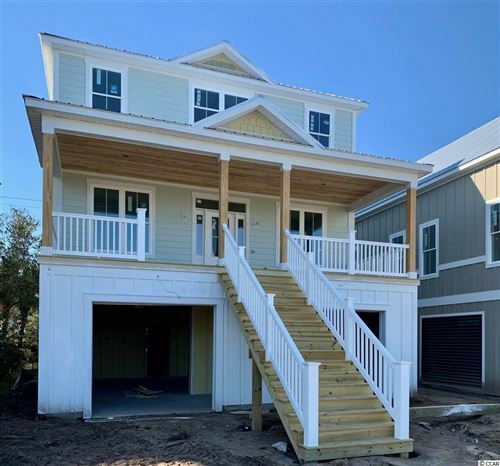 Located directly off of US Hwy 17, the homes in Litchfield Plantation are only minutes away from Pawleys Island restaurants, shopping and beaches. This centrally located Pawleys Island community is a short drive to Brookgreen Gardens, Huntington Beach State Park and the historic Georgetown harbor. The private marina at Litchfield Plantation located between ICW Markers 77 & 78 on the Waccamaw River, is a protected fresh water harbor offering convenient access to the Intracoastal Waterway. With a 68 slips and an on-site harbormaster, the marina at Litchfield Plantation can accommodate up to 38’ boats and is available for short-turn dockage of guest’s boats. Agents from RE/MAX Southern Shores can help you to find the perfect Litchfield Plantation property...and it all begins with one phone call to 843-249-5555. Litchfield Beach retains the charm of the South, yet offers all the excitement and shopping opportunities that today’s visitors and residents seek. Litchfield Plantation is just a short drive from Myrtle Beach, featuring world-class amusement centers, international dining, entertainment, and factory outlets. But one doesn’t have to go far to find all the conveniences of charming village shops in Pawleys Island, as well as some of the finest restaurants on the Grand Strand.